Welcome to Part 2 of our 9 part series on child abuse and neglect. Today, we will be exploring the various types of child abuse and neglect. See the end of today’s article for a complete listing of articles included in this series. An act or failure to act which presents an imminent risk of serious harm. These laws are then further refined and explained at the state level. For a listing of abuse and neglect laws for your state, visit the State Statutes Search webpage at The Child Welfare Information Gateway of the U.S. Department of Health and Human Services. 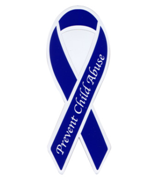 This page allows you to search for a variety of state statutes including the definitions of abuse and neglect. Some states would also add abandonment and substance abuse by parents to this list of types of maltreatment. Others would also add failure to supervise (e.g., inadequate supervision or exposure to dangerous environments) to the list of types of neglect. Some sources/statutes would combine these categories. Let’s examine each type of maltreatment listed above a little closer by defining the terms and looking at examples of each type of maltreatment starting with the different types of abuse and then moving on to the different types of neglect. Emotional child abuse is maltreatment which results in impaired psychological growth and development. It involves words, actions, and indifference. Abusers constantly reject, ignore, belittle, dominate, and criticize the victims. This form of abuse may occur with or without physical abuse, but there is often an overlap. Many of the examples listed above require a sustained pattern before they rise to the level of emotional abuse. Physical abuse is defined as the intentional use of physical force against a child that results in, or has the potential to result in, physical injury. Physical abuse includes physical acts ranging from those which do not leave a physical mark on the child to physical acts which cause permanent disability, disfigurement, or death. Physical abuse can result from discipline or physical punishment. Physical discipline, such as spanking or paddling, is not considered abuse as long as it is reasonable and causes no bodily injury to the child. Educational neglect is defined as the failure to educate a child or attend to special education needs. Generally it relates to a caregivers’ failure to sufficiently provide for the educational needs of the child. Emotional neglect is defined as inattention to a child’s emotional needs. Medical neglect is failure to provide a child with necessary medical or mental health treatment. Note: For purposes of NIS-4 (the source of the statistics throughout this article), medical neglect is classified as a form of physical neglect. Physical neglect represents a failure to provide a child with necessary food or shelter. A failure to provide adequate supervision and abandonment are sometimes classified as physical neglect as well. Abuse and neglect can take many forms. The lists above are certainly not exhaustive, but they do serve as a starting point for recognizing potential forms of abuse and neglect.